LET YOUR AWARD-WINNING PATHWAYS GIVE YOU NEW WAY TO RIDE. There are few things more rewarding then saddling up on your bike, pointing your tire down a new pathway, and letting exploration unfold all around you. And there are few better places to enjoy a blissful bike ride than Hilton Head Island. 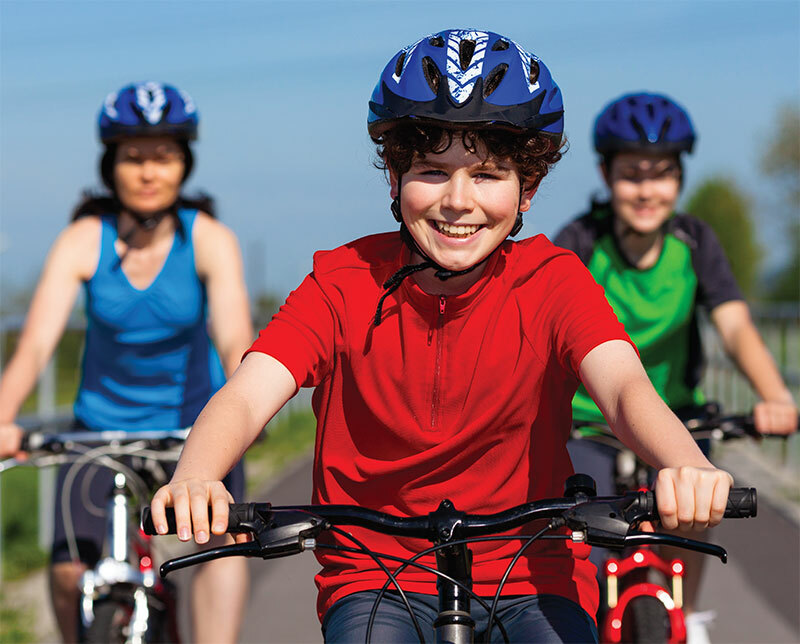 It’s not just in the gentle climate or the pathways that wind in and out of dense forests, beach parks and tranquil lagoon areas, it’s in the dedication that Hilton Head Island has demonstrated in creating the ultimate cycling experience. 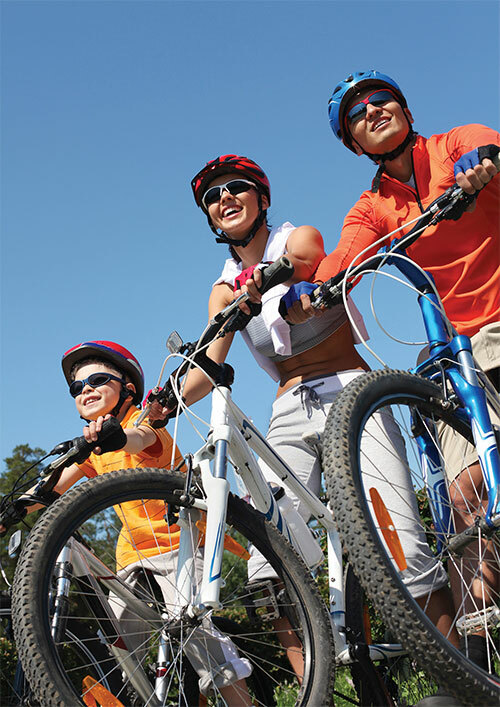 FOR THOSE LOOKING FOR A FUN WAY TO STAY IN SHAPE AND ENJOY HILTON HEAD, THERE’S NO BETTER WAY THAN BICYCLING. “For beginning and intermediate cyclists, this is a fantastic place to ride,” said Beverly Perfect, co-founder and past president of Kickin’ Asphalt Bicycle Club of Beaufort County. While the Hilton Head Island only measures about 12 miles long by 5 miles wide visitors can enjoy nearly 60 miles of public bike pathways and nature trails accessible to all. In addition, there are close to 50 miles of paths behind the gates of private communities like Shipyard, Sea Pines, and Palmetto Dunes. The flat terrain and the bike path system make it very easy to ride on the bike paths, however many visitors find the best place to pedal is on the beach. Enjoy a bike ride on the hard packed sand near the water line at low tide. It is great fun and it offers a spectacular view. You might even see some dolphins! There are miles of beautiful bike paths open to all waiting for you to explore.